The Right Commercial Fence is Aesthetically Appealing. When it comes to choosing the right commercial fence for your Manassas, Virginia business, we could talk about aesthetics and curb appeal. Did you know it takes a stranger just a tenth of a second to form a first impression of your business, according to a series of experiments by Princeton psychologists? And longer exposures don’t significantly alter those impressions. So curb appeal matters. It could be the difference between luring in that new customer and losing business to your flashier competitors. 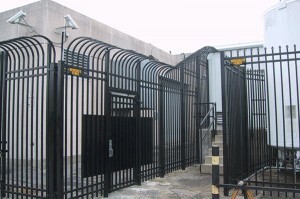 The Right Commercial Fence Improves Security. When it comes to choosing the right commercial fence for your Manassas, Virginia business, we could talk about security. After all, that is why you want a new fence, right? A commercial fence should keep unwanted guests out, while keeping your customers, clients, or employees out of harm’s way. This is important for large government facilities and small daycare centers alike. The Right Commercial Fence Improves Both Curb Appeal and Security! 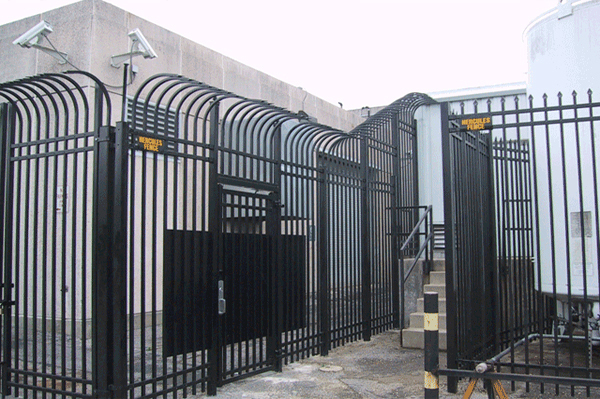 Hercules Fence has been a commercial fence provider since 1955. We are also the largest fence company based in Virginia, affording us the luxury of purchasing the fence you want at a price you will love. That’s what we like to call a win-win! We pride ourselves in installing high quality fences at affordable prices. Hercules Fence has experience in nearly every type of commercial fencing project imaginable, from chain link fencing to crash-rated barriers, anti-terrorism cable and even ornamental anti-climb fences. Some of our most prestigious projects include U.S. Army Base, Ft. Lee; NASA; Langley Air Force Base; the Pentagon; Tidewater Regional Jail; and more! If you have any questions about purchasing a Commercial Fence for your Manassas Business, you can contact Hercules Fence today by calling (757) 316-3600 or visit FencesNewportNews.com today! You can also follow Hercules Fence on Facebook, Twitter, Google+ and YouTube. This entry was posted on Friday, May 9th, 2014 at 1:01 pm. Both comments and pings are currently closed.